The main challenge of business model innovation is to overcome the dominant industry logic. 90 % of all business model innovations are recombinations. Knowing the past helps in creating the future. The BMI Lab is a spin-off of the University of St.Gallen. We are the creator of the St.Gallen Business Model Navigator methodology – the result of a three-year research study and the analysis of more than 250 business model innovations. In our workshops, you learn how to apply the Business Model Navigator to revolutionize your business model. We put our experience to work for you, helping you successfully to develop, test, and implement business model innovations. We train your people in innovation and entrepreneurship in order to change the mind-set and culture of your organization. More than 50,000 copies sold and translated into 11 languages. This book provides a proven systematic approach to business model innovation. Read it and become a better business model innovator. Analyzing a century of innovative companies, we identified 55 successful patterns that explain more 90 percent of their business models. Use them to unlock innovation at your company. For a sneak peek of the content of the Business Model Navigator, check out the working paper, containing information on the methodology used, a quick summary of the 55 patterns and a list of companies that have used each pattern to successfully innovate their business model. The Tube Map provides a visual overview about all 55 business model patterns and 250 companies that used a re-combination of patterns to innovate and disrupt their industries. Download the BMI Map and follow back to the roots of the most successful patterns. Our CEO Felix Hofmann explains why scalability is important, what it means, and how to work with it. The new version of the Business Models Pattern Cards is available! 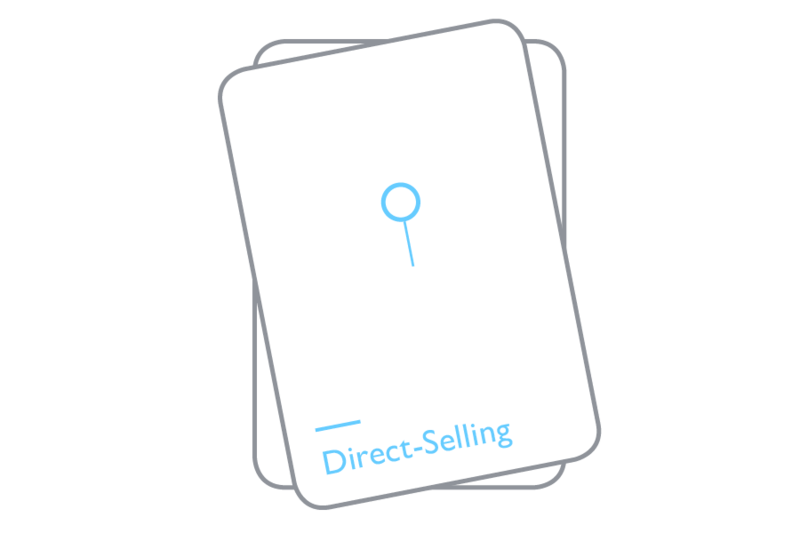 With an updated design and new descriptions, this new set of cards also includes five more business model patterns, together with some advice for a better use of the cards during your innovation workshops. An introduction to the Assumption Juice Press, a useful innovation tool created by BMI Lab to help companies and startups to identify the underlying assumption of their new business models. We provide a worksheet to start applying at your company this methodology. Download it now! The future of Digital Banking: it’s time to disrupt! Are you a financial professional or entrepreneur? Download the Digital Banking 2025 study and learn about Fintech innovation from researchers and experts in the field, such as Oliver Gassmann from the University of St Gallen - and don’t forget to register for our Business Model Innovation workshop now! From product to business model innovation: TICK, the laundry on demand service from Migros. Several European companies, that are hidden champions in their domain, are succeeding in innovation through a guided Business Model Innovation process. We explain the business case of Tick Wash, a new venture created by Migros group in Switzerland - register to our Business Model Innovation workshops now! Business model creation and innovation in China: not just copycats. Chinese innovators, rather than just copying other services and products, have a very particular approach to business model innovation, addressing the particular traits of Chinese customers. We can get useful insights from their experience - Do you need more? Register for our Business Model Innovation workshops! Are you wondering how to use the BMI Pattern Cards? In this blog post, we give some valuable advice to obtain the full potential of any workshop, using our methodology for Business Model Innovation. If you need more information about our methodologies and services, check out our web page or send us an email. Massive investments, a huge market and the support of public policies have boosted the Chinese innovative ecosystem during the last 20 years. Chinese policies on innovation provide some valuable lessons about innovation promotion - Do you want to know more? Register to our Business Model Innovation workshops! New Technologies and Business Model Innovation in emerging markets: Our experience in Bangladesh. Our consultant Peter Brugger hold a keynote in Dhaka, Bangladesh, about the relationship between business model innovation and new technologies. Business Model Innovation is also useful for developing economies, helping to find new possibilities for value creation - Register to our Business Model Innovation workshops! An interview with Katharina Erdmann about the Senior Management Experience Study Trip to San Francisco organized by Covestro and BMI Lab. Our study trips are a great opportunity to meet and learn from innovators in the most thriving innovation ecosystem - Check our website for more information about our services.